The August 1, 1903, edition of the New York Evening Post reported that work had begun on the mammoth floral clock designed by Johnson Service Company’s (Johnson Controls’ former name) founder and president Warren Johnson for the St. Louis World’s Fair the following year. The company had been engaged in the design and installation of clocks for building towers since 1895, including the two largest clocks in the world up to that time: the Minneapolis Court House and City Hall clock (built in 1895), with dials 23 feet, 4 inches in diameter, and the Philadelphia City Hall clock (built in 1898), with dials 25 feet in diameter (by contrast, London’s “Big Ben,” the previous record holder, had clock dials that were “only” 22 feet, 6 inches in diameter). Situated on a hillside to the north of the Fair’s Agricultural Palace, the floral clock’s dial had a diameter of 112 feet – dwarfing even the company’s own tower clocks. The clock’s hands, 50 feet and 74 feet in length respectively, could be read easily from a half-mile away. At night, the clock was illuminated with 1,000 incandescent lights embedded in the flowers. As with all of the company’s tower clocks, the floral clock was driven pneumatically using the same principles used to power the company’s automatic temperature regulation systems. The mechanisms which ran the floral clock, including an astronomical master clock which controlled the main clock, were housed in three small pavilions at the top of the hill. 13,000 flowering plants filled up the clock’s face, including twelve distinct species selected to bloom at twelve different times a day to help mark the hours. 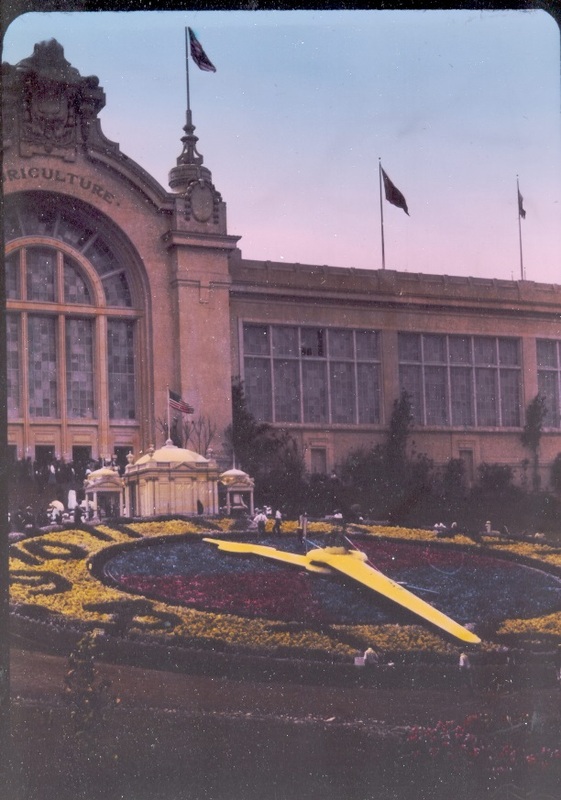 At the end of the Fair’s run, the Fair’s International Jury of Awards conferred a Grand Prize with Special Mention upon the Johnson Service Company for its creation of the floral clock. 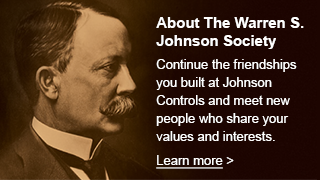 After Warren Johnson’s death in 1911, the company began focusing its efforts on its temperature control business exclusively, resulting in the sale of the clock business to Hahl Clock Co. of Chicago in 1912.